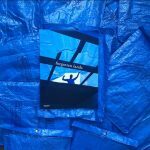 In the fall of 2017, the US Virgin Islands, Puerto Rico, and the Florida Keys were devastated by an unprecedented series of natural disasters. The catastrophic force of two back-to-back Category 5 Super-Storms in ten days not only raises awareness of the implications of a potential new normal in weather patterns but more directly on the sustainability of America’s isolated, underserved Caribbean communities. Utilizing a holistic approach to sustainable recovery, the Foundation’s work through our CARE Fund provides grantmaking, data collection, and direct services that are designed to leverage scarce community resources and provide strategic rebuilding that will serve the community into the future. We invite you to learn more about the Foundation’s work and impact to date and to explore our grant award program for funding and collaborative opportunities. St. Croix Foundation for Community Development wishes to extend our sincerest gratitude to the countless local and national foundations, grassroots movements, and private contributors who have made the CARE Fund possible. 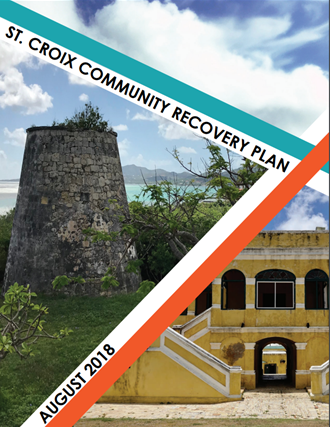 The St. Croix Community Recovery Plan is a tool intended to guide the St. Croix community through necessary steps in the long-term recovery process following Hurricanes Irma and Maria. The intention of this plan is for use as a blueprint to assist community leaders in implementing recovery projects identified as priorities. The St. Croix community, its leaders, partner organizations and project stakeholders are the primary audience for this plan; hence, this is a community-driven document that contains significant input from local leaders, as well as the general public. This document is designed to be flexible, based on ever-changing needs of the community; over the course of time, community priorities and goals may be modified or evolve. Therefore, projects chosen for implementation may change. The plan contains project-based recommendations and outlines potential paths forward in the community recovery process. Similar plans are also available for St. Thomas and St. John. In an effort to raise funds and draw attention to the crisis still at hand, Forgotten Lands, features the works from a range of emerging and established Caribbean artists. This diverse group of artists reflects the environmental, political and socio-cultural diversity present across the regions. All proceeds goes to the Caribbean Assistance and Relief Efforts (CARE) Fund. Click here to purchase this book and learn more about the Forgotten Lands Art Collective.